With 9 games played, Hilal Al-Quds have a 100% percent record (counting the abandoned match vs. Al-Am'ary as a win). Their closest rivals- Shabab Al-Khaleel are 8 points adrift on 19 points and it is becoming increasingly harder to find anyone serious challengers to the Jerusalem club's dominance. The team has come under pressure this season- but from outside forces. The team's chairman accused of Shabab Al-Khaleel of trying to buy the result of their Week 7 matchup. There was also a feud with the PFA over the right to wear a jersey with a Wataniya sponsorship- which resulted in them wearing a red jersey in one of their games. To top it all off, Hilal Al-Quds suspended one of their best players Ali El-Khatib indefinitely. Al-Am'ary, last season's champions, have been underwhelming to say the least. Despite abundant attacking talent and a hot start (the team won it's first three games of the season) Al-Am'ary have wilted under the pressure. It's not the first time league champion has struggled in a title defence. Jabal Al-Mukaber finished a mere four points above the relegation zone last year and in the year before that Wadi Al-Nes finished in a distant fourth- an equal 10 points off first place and relegation. Hilal Al-Quds: Destined to lift the League Trophy? If Hilal Al-Quds look certain to lift the title then Merkaz Tulkarem look certain to go down. The Yellow and Blue have yet to win a game and although they miraculously escaped relegation last year they don't look like doing it again this year. Part of this is because key players like Khaled Salem and Maen Jamal moved to other clubs in the offseason. Unfortunately for the Yellow and Blue, the talent needed to succeed at this level is simply not there. The rest of the league is a jumbled mess. Tarji Wadi Al-Nes started out slow but have since found their form thanks in part to the return of Said Al-Sobakhi. Shabab Al-Dhahrieh started off hot but have since lost their form. The Oryxes of the South have a side bursting with quality: Mohammed Al-Masri is one of the league's best defenders and Atef Abu Bilal is relentless attacking machine. If Khaled Salem, Yahya Al-Sobakhi, Ahmed Maher, or Amir Abu Arrar (who have all scored this season) can develop into a double-digit scorer then this team will be a force in the second half of the season. Balata have retained that pesky resilience from last year but have suffered a sophomore slump of sorts. The team has become less effective in attack- averaging half a goal less as compared to last season. 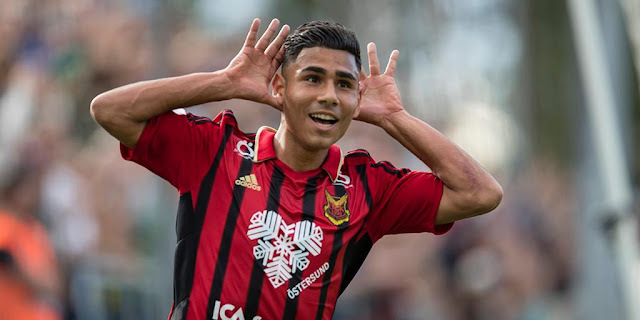 Through 9 games Balata has a mere 9 goals (they had 15 at this point last year) part of this has to do with Abdelhamid Abuhabib's form which has been poor by his lofty standards. That said he has played well enough to ensure Balata are one point above defending champions Al-Am'ary. Abuhabib hasn't been doing it on his own either- Arafat Abu Serhan has been a revelation in midfield playing well enough to earn a national team call-up. 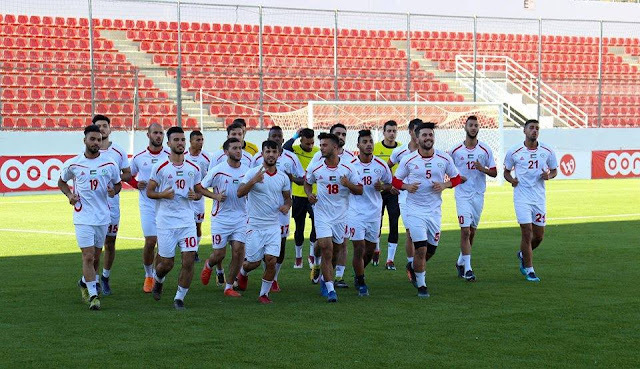 The rest of the league sees Thaqafi Tulkarem battling Al-Bireh and Jabal Al-Mukaber for the right to remain in the WBPL. One word sums up these sides- inconsistent. Al-Bireh started off the season by finding ways to throw away points from winning positions. They have bolstered their position with back-to-back wins vs. the Tulkarem sides. 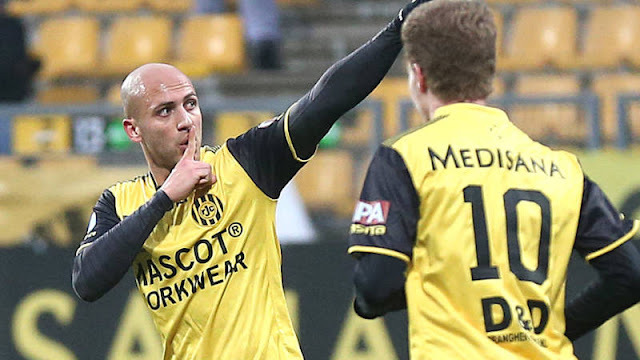 Thaqafi had to wait until the fifth week of the season to earn its first points. A pulsating 3-2 win over neighbors Merkaz which feature three goals inside 90 minutes sealed it for the Maroons. They followed up that success with a 2-0 win over Balata but have only managed an additional point since. If the season ended today, both Tulkarem sides would be relegated. Which brings us to Jabal Al-Mokaber who can't seem to find out if they're magnificent or moribund. The Jekyll and Hyde performance throughout the season has left fans guessing as to which team might show up from week to week. The Mt. Scopus based club lost its opener 4-0 to Hilal Al-Quds but won their next game against Thaqafi by the same score. In the 3rd week they beat Merkaz Tulkarem 3-0 only to lose to Balata the following week by a 2-0 scoreline. They also 5-0 and 4-0 losses to the Hebron clubs on their record this season but have also pulled off a 3-2 upset of Al-Am'ary following those disappointing results. Where they go from here is a mystery but one thing is for sure- it will be a fun and unpredictable ride. GK- Mohammed Shbair (Shabab Al-Khaleel): Slightly edged Saidawi whose team has often left him with not a lot to do. Shbair has played a more direct role in Shabab Al-Khaleel's success this season. CB- Haitham Dheeb (Hilal Al-Quds): Nicknamed 'The Octopus' by Hilal fans, Dheeb has been an omnipresent force in the team this year. Anchors a defence that has allowed a paltry two goals. CB- Mohammed Al-Masri (Shabab Al-Dhahrieh): Handed an unfair task in his first national team cap but make no mistake Al-Masri is one of the best in the WBPL. CB- Jehad Rabie (Shabab Al-Khaleel): Probably the main reason why Shabab Al-Khaleel are in second place now. Nadim Al-Barghouthi also owes his defensive partner a great deal of gratitude as his play has masked Barghouthi positional deficiencies. RW- Ismail Al-Amour (Al-Am'ary): The only consistent element of a very inconsistent side, tireless runner always able to create something out of nothing. CM- Mahmoud "Al-Koori" Salah (Al-Am'ary): Grabs a place on this list simply because Al-Am'ary look lost without him shielding the defence. The team went into a tailspin after he left to captain the U-19 side in AFC Championship qualifying. CM- Arafat Abu Serhan (Balata): Probably will not land on many team of the season lists but his presence in midfield make Balata dangerous. He frees up Abuhabib to go forward and puts in solid work that make results like the 1-0 defeat of Shabab Al-Khaleel possible. CM- Maen Jamal (Hilal Al-Quds): Will not get the headlines Murad Alyan or Fadi Lafi get but he has made Hilal more dynamic. His movement makes it possible for the team to win even if Alyan fails to score- something they struggled with last season. LW- Atef Abu Bilal (Shabab Al-Dhahrieh): The Oryxes best player, is involved in nearly every build-up and goal the team puts together. Has had a more convincing season than his national team competition Ashraf Nu'man. FW- Eyad Abugharqud (Shabab Al-Khaleel): Despite departing Al-Am'ary in the offseason he has not missed a beat. His 8 goals make him the second top scorer. Its hard to see how he'll fit in with the national team as his style is predicated on balls being played through to him. He'll need to adapt and learn how to play as a lone striker. FW- Murad Alyan (Hilal Al-Quds): Perhaps the best player this season (again) he plays with exuberance and urgency of a man ten years younger. Averaging more than a goal per game. Flop of the Season: The Yasser Arafat Cup- a preseason tournament has yet to be concluded and we're halfway through the league calendar.